I called before we dug. The utility companies are all coming to mark their lines. 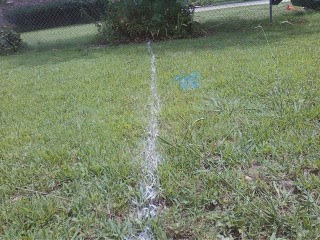 We have to mark our projected fencing with white. The company representing blue has already been out. Blue is water according to the website.